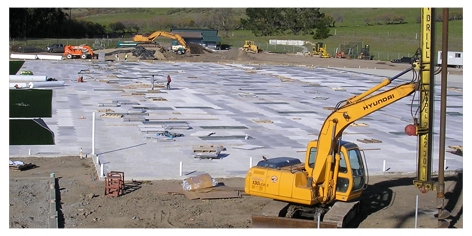 "Half Moon Bay High School Athletic Fields Project "
This is the beggining of the project when we were just first breaking ground. 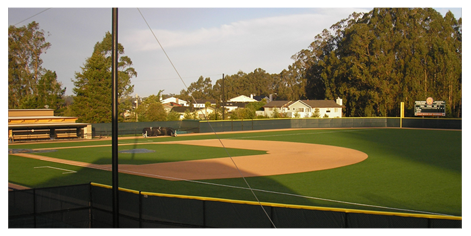 This is a picture of the baseball field when it was completed. 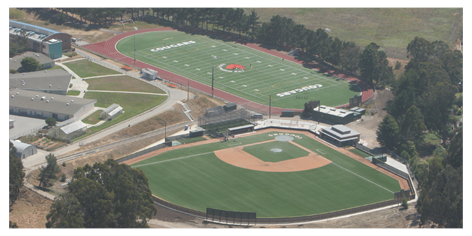 "Half Moon Bay High School Athletic Fields Project"
This is an ariel photo of both the High School baseball field and football field completed. Gradeing, Paving, Underground Ultilities, Concrete, Drilling, Crushing, Screening, Grinding-Wood, Weed Abantment, Trucking (Ten Wheelers, Super Dump's, End dumps, Highsides & Transport) for Residential & Commercial. A list of equipment that we have. Dozers From D3 to D8 and a D4 Mud Cat, Excavators from 12,000 LB to 64,000 LB and a Long Reach Excavator with a 52' Reach, Bachoes, Compactors Sheep's Foot and Smooth Drum, Skip Loaders, Rubber Tire & Track Loaders, Multi Terrain Loaders, Scrapers and a Motor Grader.